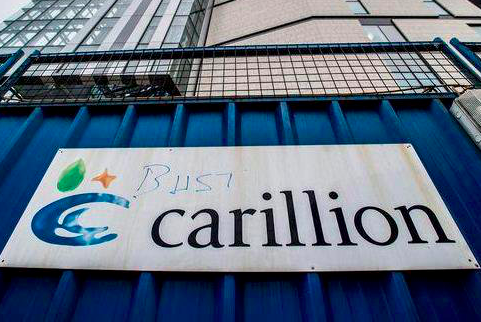 Carillion is just the latest company to jettison its pension liabilities whilst its directors and shareholders make off with the assets. Too many companies are using a procedure known as “pre-pack administration” to sell-off a company’s assets for the benefit of shareholders, banks and private equity concerns, abandon pension scheme deficits in the process. Toys R Us is the latest company to seek shelter in the Pension Protection Fund (PPF) for its £74.3m pension scheme deficit. Pension scheme liabilities have been dumped at Bernard Matthews, BHS and Carillion. Pre-packs do not require approval from unsecured creditors. The pre-pack sale agreements are confidential. Last year, it was reported that some 148 pension schemes with £3.8bn of liabilities have been offloaded into the PPF through pre-pack administrations i.e. directors, shareholders and bankers extracted an extra £3.8bn from companies by dishonouring the contracts with employees. Another 20 schemes were being assessed and the numbers are growing. The PPF was established by the Pensions Act 2004 to rescue distressed pension schemes. It is all too easy for companies to extract high executive remuneration, returns for shareholders and dump the pension scheme liabilities with the knowledge that 90% of the pension deficit may be made good by the PPF. Employees will be forced to suffer losses because pension schemes rank as unsecured creditors. The PPF is funded by a levy on all private-sector defined-benefit pension schemes. The rescue process means that good pension schemes are bailing out the ones deliberately left in deficit. Following the public disquiet about BHS and other cases, the government published a green paper in February 2017. Rather complacently, it said “there is no evidence of an imminent crisis affecting the sustainability of DB pensions generally, and in most cases members are only at risk if a sponsoring employer collapses”. Clearly, the government had not noted the deficits, losses and anxieties inflicted on employees. A white paper is now expected. Will it aim to protect employees or will it make it easier for companies to abandon or restructure the schemes e.g. by negotiating reduced pension rights? Reduced pension rights will condemn millions to lower pensions. 1. All large companies, as defined by the Companies Act 2006 should have employee elected directors on their boards. Imagine if BHS or Carillion had such individuals on the company board. They would surely have prodded other directors and urged them to address employee interests. 2. Directors duties, contained in Section 172 of the Companies Act 2006, should be revised. Currently, the legislation states that “A director of a company must act in the way he considers, in good faith, would be most likely to promote the success of the company for the benefit of its members as a whole”. This makes everything subservient to the interests of shareholders and encourages neglect of the interests of employees. 3. In the event of insolvency, pension schemes should rank as a preferred creditor i.e. it needs to be paid before any other party. This is desirable from a risk-management perspective. Employees of insolvent companies often face a triple whammy. They lose their job and their pension is under threat. Even worse, if pension trustees have invested any part of scheme’s assets into company shares, that amount will also be lost. At the time of insolvency, many employees are already drawing a pension and the ageing process precludes them from rebuilding their pension pot. Even younger employees cannot turn the clock back and rebuild their pension pot. So their interests need to be protected. In contrast, financial institutions hold diversified portfolios to manage their risks. Amounts invested at each company form a small part of their overall investment and losses resulting from the prioritisation of employee can be absorbed. The prioritizing of employee interests should encourage financial institutions to closely invigilate companies. 4. All companies with a pension scheme deficit should be required to submit an annual plan to the Pension Regulator explaining how they seek to eliminate it. And there should be a binding commitment to reduce the deficit. 5. All share buybacks, dividends and other forms of returns should be conditional on a plan to eliminate the pension scheme deficit. This plan needs to be approved by the Pensions Regulator. 6. Each year the company should explain whether the previous promises to reduce the deficit have been delivered. 7. Whenever a company with a pension scheme deficit engages in a merger or takeover it should be required to seek approval from the Pensions Regulator. In the absence of a convincing plan to reduce the deficit the regulator should have the power to veto the proposed merger and takeover. 8. Companies, their shareholders and directors should not be able to enter into any pre-pack administration without the approval of pension trustees and the Pensions Regulator. 9. The Pension Regulator needs to monitor developments and be proactive in monitoring schemes rather than waiting for any formal notification of mergers, pre-packs of insolvencies or other events. Amazing. Professor of Economics who thinks that debts matter when its private companies. When it comes to debts and deficits of the state, he keep quite. The Pension Regulator is the problem. It set the discount rate too high, making the pensions look affordable. That’s why you have a systematic crisis with almost all pensions funds in a deficit. What’s needed is for personal funds, not collective funds. With a collective fund you will be screwed out of your pension. There are three different ways of assessing the deficit/surplus of pension funds so it would help if the government stated the one they will use for determining what should be provided for legally and ultimately enforced. Only the troll above would object to Prem’s proposals but on director responsibilities, I would go further and establish in law the assumption that directors are presumed to have undertaken due diligence in executing their duties. The Murdoch defence of not reading to the bottom of an email would be inadmissible.